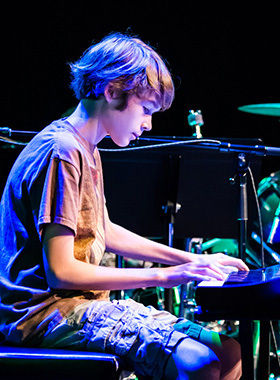 At Arts+, we know the effects of an arts education extend far beyond paint canvases and piano recitals. 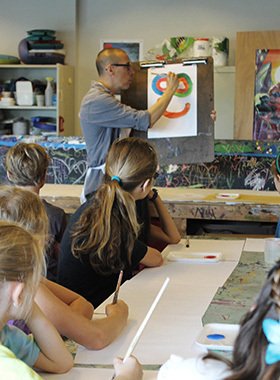 Arts education can transform lives, helping students tap into their artistic potential, plus develop the lifelong skills they need to succeed in other arenas of life, including critical thinking, problem solving and perseverance. 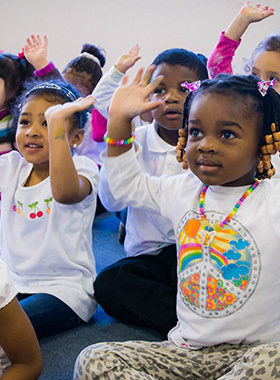 Of the 4,500 students we reach each year, roughly half receive their arts education for free or at a reduced rate. When you donate to Arts+, you make it possible for students of all backgrounds to access outstanding arts education. Your donation adds up to so much more. Click the button below to be directed to our secure online donation form. What is Continuo? In music, the “basso continuo,” or simply “continuo,” provides and sustains the full harmony of the musical texture. As in music, Continuo members provide a continuous “bass line” from which to build our organization, acting as true leaders. Become a Continuo member to provide lasting support for Arts+. In 1969, Henry Bridges started an organization dedicated to making outstanding arts education accessible to students in underserved populations. To join the Bridges Society, click the button below and complete the form. Return the completed form to Stephanie Stenglein, Vice President of Institutional Advancement, at sstenglein@artsplus.org. For more information on how to make a planned gift, please contact Stephanie or your financial advisor. Today, we honor his legacy through the Bridges Society, which recognizes supporters who include Arts+ in their estate plans. 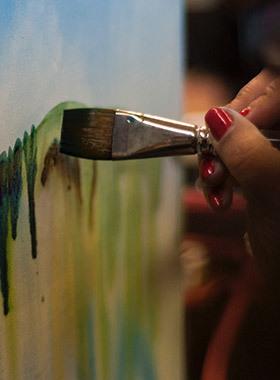 Bequests, retirement plan assets and life insurance policies are a few of the many ways you can leave a lasting impact on the community by supporting Arts+. To learn more about easy ways to make a planned gift, click here. Arts+ offers automatic monthly giving so you can contribute to accessible arts education all year long. When you sign up for the Sustainable Giving program, the amount you specify will be billed to your credit card each month. Giving this way is convenient and hassle-free. You may choose to have a gift acknowledgement for your taxes sent to you monthly or just once a year. Click the button below to visit our donation page and sign up for monthly credit card deductions. Simply choose "Monthly" for the donation frequency. For questions, please contact Director of Annual Giving Sarah Lanners at slanners@artsplus.org or 704.887.0294. By supporting Arts+, our corporate sponsors add so much to the community. 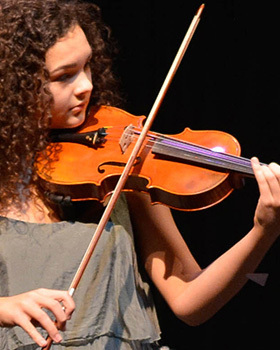 Arts+ offers a variety of scholarships for outstanding private lesson students. Arts+ awards scholarships based on merit, and awards are determined by external and independent professional musicians, artists and arts educators. Scholarships are awarded to young children through high school students, based on the recommendations of the adjudicators. If you would like to provide a scholarship for an outstanding student through either a multiyear annual contribution or a permanent endowment, please contact Vice President of Institutional Advancement Stephanie Stenglein at sstenglein@artsplus.org or 704.887.0298. Click here to view our current scholarships. Arts+ is a grateful participant in Harris Teeter’s Together in Education program, through which Harris Teeter contributes a percentage of your purchase of select Harris Teeter brand products to the School. To support Arts+ while you shop, link your VIC card by clicking here. The Arts+ school code is 5360. AmazonSmile is a simple and automatic way for you to support your favorite charitable organization every time you shop, at no cost to you. When you shop at smile.amazon.com, you’ll find the exact same prices, selection and convenient shopping experience as Amazon.com. By shopping through the Arts+ organization on Amazon, Arts+ will receive 0.5% of your purchase. Click here to shop and support Arts+! For more information on the impact of your dollars, click here to view the 2017-2018 Impact Report. Arts+ is a 501(c)(3), not-for-profit organization as determined by the U.S. Department of Treasury and the Internal Revenue Service. Our federal tax id number is 59-1356847.